In the early 1950s a group of 12 nations came together in the spirit of scientific cooperation including the United States and the USSR. 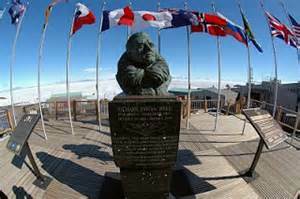 Their ultimate goal was the formation of the International Geophysical Year (IGY) from 1957 to 1958 when it was agreed these nations would cooperate in conducting scientific research in two primary places: Antarctica and outer space. 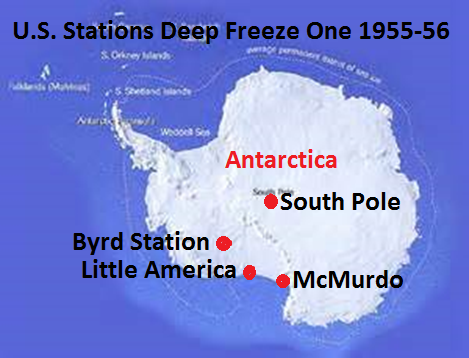 As a prelude to the IGY the United States launched Operation Deepfreeze I to Antarctica with Admiral Byrd in command during the summer of 1955-56. With the U.S. Navy in a support role four U.S. bases were established for scientific study: McMurdo Station on Ross Island (with an airstrip on the permanent sea ice), the South Pole (named the Amundsen-Scott Station), Little America near Byrd’s original station built in 1928 on the Ross Ice Shelf, and Byrd Station in Marie Byrd Land. During the IGY 12 countries established 40 science stations to conduct scientific research. Research was conducted in many fields including meteorology, glaciology, geomagnetism, and many others. Meanwhile in space the USSR and United States launched their first satellites into earth orbit named Sputnik and Explorer respectively. 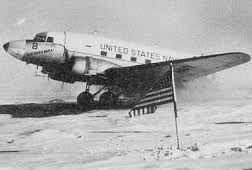 Admiral Byrd returned to his home in Boston after Deepfreeze I. 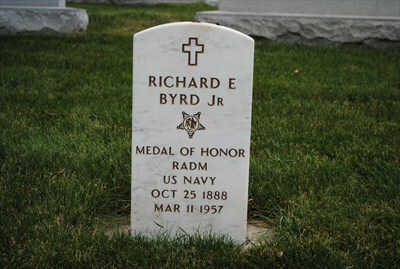 He passed away in his sleep on March 11, 1957, and was buried at Arlington National Cemetery with full military honors.